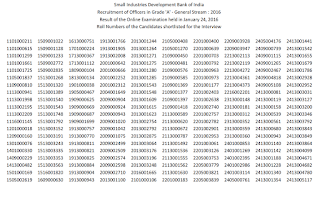 Small Industries Development Bank of India (SIDBI) had conducted written test for Officers in Grade A General Stream or Assistant Manager on 24 January 2016. Earlier SIDBI had completed the process of getting applications for these 100 Posts. The test have question from Computer knowledge, English, General Awareness, Reasoning and Quantitative aptitude. Now the result of SIDBI Officer had been declared. 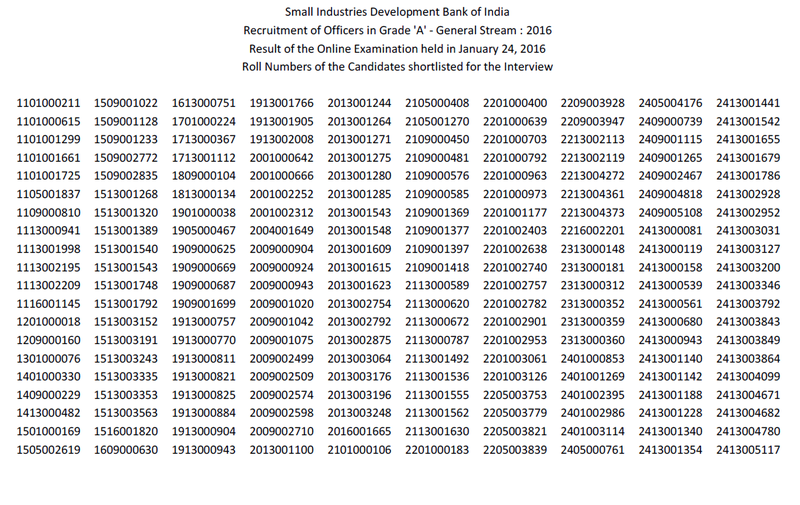 Candidates who had appeared, will soon be able to check SIDBI Officer Exam result from the direct link given below. 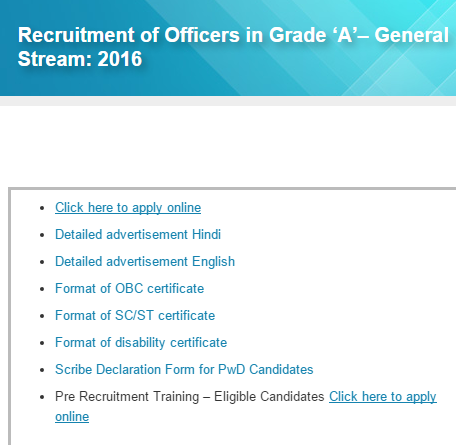 SIDBI had conducted written exam on 24 January 2016 for Officer posts. For that, final result are available now. Candidates can check SIDBI Officer results from the official website www.sidbi.com via the direct link given below. cut-off marks decided by the Bank, would be called for interview. The test was of objective type having 1/4 negative marking applicable. Answers are to be selected from the 5 options given. The candidates should check their SIDBI Assistant Manager exam result from official website www.sidbi.com from here. qualify in the Objective type of tests. After the declaration of results, SIDBI Marks / Score card might be declared in upcoming days. be called for an Interview. Interviews would be held at five centres viz. Chennai, Kolkata, Lucknow, Mumbai and New Delhi. While appearing in them, the candidate should produce valid prescribed documents. Also they should bring valid call letter with an ID proof. In order to check the result for SIDBI Officer exam, candidates need to visit the direct link provided here (after release). It will take you directly to sidbi career page where the result / merit list will be listed. The list will have roll numbers of candidates shortlisted for interview.